Simplicity Sells offers a full one year warranty on labor in addition to the manufacturers' warranty on parts. With many choices in music, the array of whole-house audio systems is quite large. 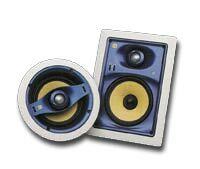 Depending on your music enjoyment preference and the clarity that you prefer, audio systems can be a background-listening system or a mega-powered moving experience. You can have music in literally every room with cosmetically pleasing speakers and placement that would satisfy even the toughest critic.